A part-day road closure is planned on the B851 at Croachy Village (south of Inverness) for Wednesday 24th April 2019 between the hours of 9am to 3:30pm. The Highland Council is advising all road users that a number of temporary road restrictions will be in place across the city of Inverness during the afternoon of Saturday 6 April 2019. At a special meeting of the City of Inverness Area Committee held today (Thursday 28 March) Members have approved the Council’s 2019/20 structural roads maintenance programme for the area. The Highland Council is advising all road users that a number of temporary road restrictions will be in place in Inverness during the afternoon of Saturday 23 March 2019. On 20th and 21st March, crucial road safety training will be delivered to 120 apprentices and staff in the construction industry to help protect them from dangerous road accidents on their daily commute to work on Highland roads. The Highland Council is advising drivers that temporary road restrictions will be in place while Network Rail undertakes work to two level crossings in Sutherland. New revised dates have been set for essential resurfacing works on a section of the A9 Trunk Road, on the Tain Bypass. The new dates are from Sunday 24th March to Friday 29th March 2019. Motorists are being reminded that Eastgate, Inverness, is currently temporarily closed to vehicles at its junction with Crown Road to its junction with Inglis Street. A report outlining recent work undertaken by a Working Group set up to support the reintroduction of air services to Skye was discussed by local Members of the Highland Council, Isle of Skye and Raasay Committee earlier today (Monday 4 March). The Skye Triangle ferry route operates between Uig, Lochmaddy and Tarbert. A full review of the infrastructure at all three ports has identified essential works and proposed upgrades to ensure the terminals remain safe and operable and are future-proofed for developments of these services. Consideration of forecast increases in demand for ferry travel, and improved resilience, has influenced the proposed upgrades at all three ports. Motorists are being advised that Eastgate, Inverness, will be closed at its junction with Crown Road to its junction with Inglis Street on Monday 4 March until Friday 8 March 2019. The 2019 Inverness Half Marathon and 5K events take place on Sunday 10 March and the Council is advising drivers that temporary traffic restrictions will be in place in and around the city during the event. Drivers are being advised that temporary traffic management will be in place along a section of the A82 Glenurquhart Road in Inverness from Tuesday 25 February. In order to allow contractors, working on behalf of Scotia Homes, to carry out sewer connections into the new housing site a section of the C1017 Croy-Midcoul road will be temporarily closed to vehicles from 9.30am on Monday 11 March until 5pm on Friday 15 March. The final phase of improvement works on the Ness Islands in Inverness will resume next week. Members of The Highland Council’s Environment, Development and Infrastructure Committee have agreed that up to £0.5m go towards the 2019/20 round of Timber Transport schemes that will bring future benefits to communities and rural roads in Highlands. Members of the Ross and Cromarty Committee have today (Wednesday 30 January) agreed a Road Structural Maintenance Programme for 2019/20 which prioritises the safety of the travelling public and sustainability of the road network. The Highland Council has written to parents and carers of school transport pupils to inform them that D&E Coaches have recently transferred a number of Highland Council contracts to Stagecoach and some school transport routes are included. The Highland Council is advising road users that a section of the C1017 Croy-Midcoul road will be temporarily closed to vehicles from 9am on Monday 14 January until 5pm on Friday 18 January 2019. A new bridge and footpath linking the Inverness Shopping Centre Park and nearby businesses, including two hotels has been officially opened. The priorities by which The Highland Council will treat roads in Caithness this winter have been approved. The priorities by which The Highland Council will grit roads across Sutherland this winter have been approved by Councillors. Site assessments have taken place today at the site of yesterdays landslip which saw approximately 9000T of soil and rock fall onto a public road which connects Loch Garry to Kinloch Hourn. The existing traffic signals at the Academy Street-Friars Lane-Chapel Street junction in Inverness will be switched off and replaced by temporary traffic signals from Monday 12th November until Friday 16th November 2018. At the Environment Development and Infrastructure Committee on the 8 November members will be briefed on the progress of the ongoing rock works and the very welcome introduction of signaling by Network Rail which has resulted in a very significant reduction in delays to traffic. The priorities with which The Highland Council will grit roads in Ross and Cromarty this winter have been approved by Councillors. The weekly reports on how the Stromeferry rock stabilisation works are progressing published by The Highland Council are keeping the public updated as essential works are carried out. 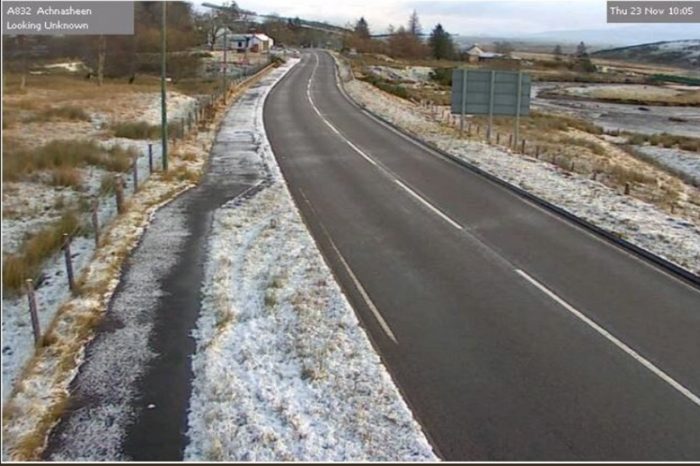 Changes to weekend gritting on Highland Roads – are you ready for winter? The Highland Council is ready for winter and prepared to grit council roads as the council’s winter maintenance programme started on 14 October 2018. Network Rail engineers have made innovative changes to signalling systems at Stromeferry which will allow road users increased access over the railway. 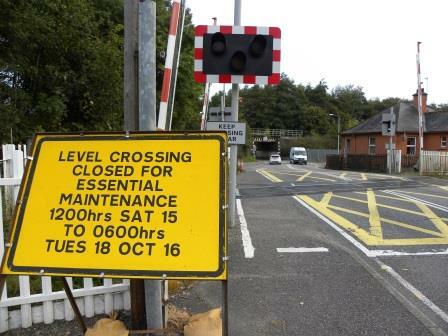 Three overnight temporary road closures will be in operation next week to allow Network Rail to safely inspection railway bridges in Inverness. The Highland Council’s Chair of Environment, Development and Infrastructure has welcomed the news that the road surfacing project on the A82 route between Fort William and Inverness is set to start on Sunday (30 September). The U1096 Essich – Bunachton – Dunlichity Road will be temporarily closed to traffic from Thursday 27 September in order for improvement works to be carried out. The Highland Council is advising all road users that the road to rail bypass on the A890 at Stromeferry is now in operation. Essential works are set to take place to the rock face to the west of the avalanche shelter on the A890 Stromeferry Bypass from 3 September 2018 and the Council is reminding the public that road closures and traffic management will be in place for up to 12 weeks. 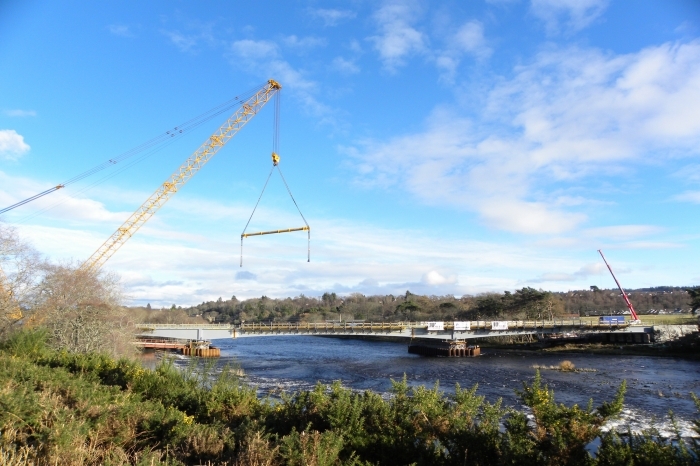 Work to build a new crossing to replace the B9090 White Bridge that spans the River Nairn starts this week. Seven aircraft visiting from Germany landed on the Island of Skye on Friday 17th August. Soldiers Bridge, a vital link for local communities in Fort William, has re-opened to the public following the completion of a £560,000 renovation. The Highland Council is advising all road users that a number of temporary traffic restrictions will be in place from Wednesday 1 August onwards to reduce the disruption to traffic likely to be caused by the Black Isle Show and Belladrum Tartan Heart Festival events. 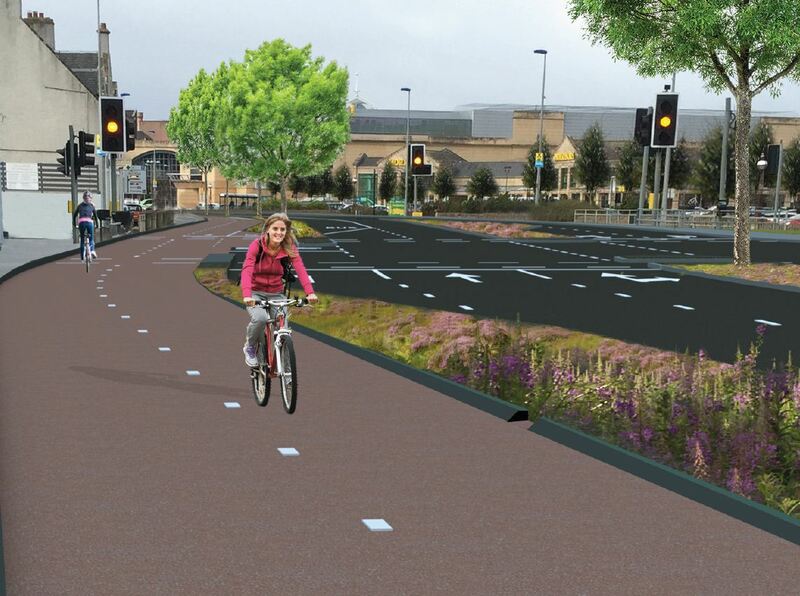 A national project encouraging thousands of people to cycle for every day journeys is coming to Inverness. The Big Bike Revival, an award-winning programme developed by Cycling UK and funded by Transport Scotland, helps people in Scotland to bring their bikes back into use by providing bike health checks, sharing maintenance knowhow and giving people more confidence in the saddle. Motorists are being advised that on Tuesday 26 June there will be two temporary road closures in Inverness and at Loch Flemington for Scottish Water works. Motorists are advised that there will be a temporary traffic restriction order to enable the temporary closure of the C1084 Inverfarigaig – Glenlia Road and the C1080 Inverfarigaig – Errogie Road, subject to appropriate traffic management being in place. Temporary road closures on Saturday 9 June 2018. 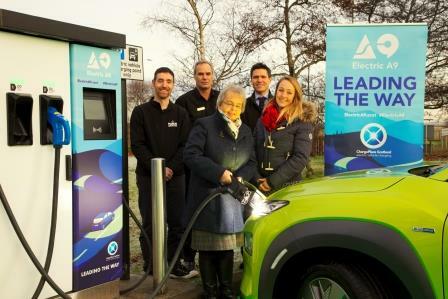 The Highland Council, in partnership with Enterprise Car Club an E-Car Club, have recently launched car clubs at multiple Council offices throughout the region. The MV Clansman will dock again for a permanent replacement part to be fitted from June 1 returning on June 12. During this period an amended service will operate on the Mallaig Armadale route and the Mallaig Lochboisdale route will be suspended. Temporary road closure at Allanfearn level crossing, part of the U1347 Allanfearn – Alturlie Road. 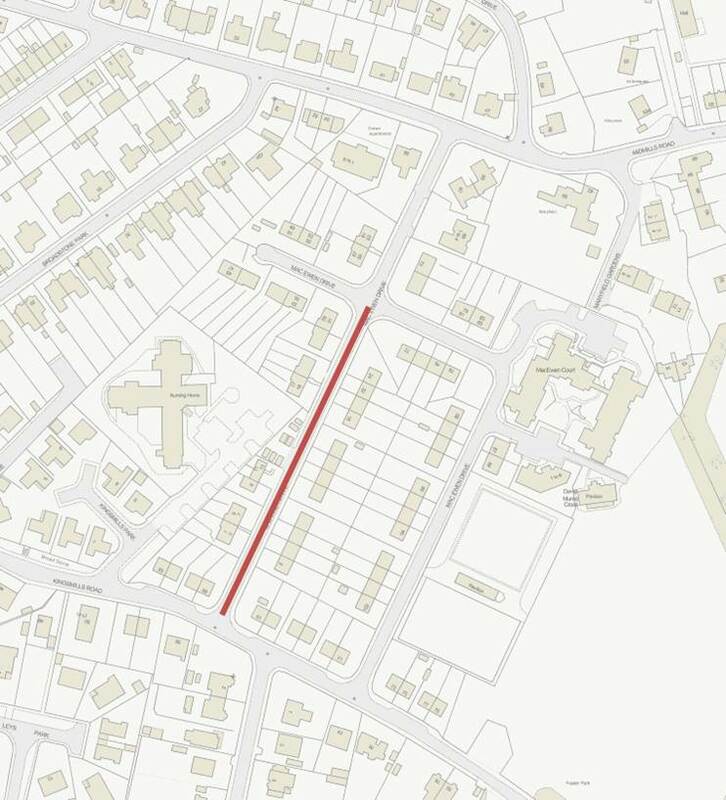 Temporary prohibition on use of a road at U1347 Allanfearn – Alturlie Road, Inverness-shire. Motorists in Sutherland area are being encouraged by The Highland Council to report potholes using a new online service at www.highland.gov.uk/roadfaults. Essential stabilisation works will begin on 3rd of September 2018 on a 72 metre section of rock face close to the west of the avalanche shelter. Almost three hundred primary 6 and 7 pupils from primary schools in Caithness and Inverness will gather this week to be trained in new roles as Junior Road Safety Officers for their schools. The Highland Council is notifying motorists that there will be a temporary road closure of the B970 from 7 - 7.30pm until 10 - 10.30pm on Wednesday 30 May 2018. Road works are due to start east of Inverness on 21st May to widen Culloden Road’s approach to Inshes Roundabout. Motorists are being advised by The Highland Council to expect delays in the Castle Street area of Inverness from Monday 23rd April to Saturday 28th April. The Highland Council and partners are advising motorists of temporary road closures and speed restrictions which will be in place from 28th – 30th April 2018 during the Etape Loch Ness cycling event. The Highland Council is pleased that the Scottish Government has acknowledged the efforts of the local authority during the recent severe winter weather to keep the Highlands moving. Motorists are advised by The Highland Council that the planned part-day road closures of the B851 on 3rd and 4th April at Farr Primary School have been cancelled due to bad weather. The Highland Council is committed to providing transport throughout Lochaber says a senior local Councillor following the announcement that Stagecoach are likely to be pulling services out of the area. There will be part-day road closures of the B851 on the 3rd and 4th April from 9am to 3pm at Farr Primary School. Fort William hosted the latest meeting of the Chairs of the seven Regional Transport Partnerships in Scotland when the benefits of promoting healthier lifestyles through Active Travel, such as walking and cycling, were highlighted as a priority area for joint action. Motorists are being advised that The Highland Council is currently preparing to carry out resurfacing works on the B862 and B851. The B9176 Struie Road at Newbridge, Ardross remains closed to all traffic while work continues to clear fallen debris and stabilise the slope. Following the landslip on the Knoydart Peninsula last Autumn work is progressing well and every effort is being made to get the affected section of single tracked road open to traffic for the Easter weekend. Information on Ross and Cromarty roads and ongoing winter maintenance. As part of a wider project in the area, SGN will shortly be starting work to upgrade their gas network in Old Perth Road, Inverness. The Highland Council is working with taxi operators and Police Scotland to provide new taxi rank provision in the centre of Inverness. Road condition reports by The Highland Council’s Community Services for Tuesday, 27 February 2018. Travellers are being warned to expect significant disruption to the transport network later this week, after the Met Office issued an amber warning for snow. Mrs. Elizabeth Ralston Chair of Glenelg and Arnisdale Bus User Group (BUG) said: “We are delighted to be celebrating the sale of the 1000th ticket for our on-request taxi service which works to keep our remote community connected with City Link buses to and from Inverness and Glasgow and Isle of Skye. 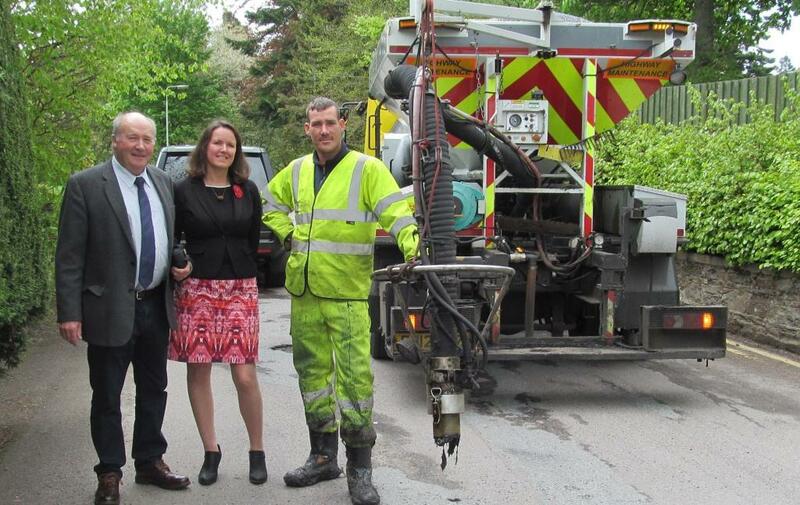 Members of the Highland City of Inverness Area Committee have approved the Council’s 2018/19 roads maintenance programme for the area. Residents, businesses, students and key stakeholders in the Fort William area are being urged to engage online to inform a study being carried out to identify the scope for transport improvements in the area. In recognition that roads are a high priority for communities in Highland the Administration at The Highland Council will be putting forward a budget on Thursday (15 February) that protects the budget for local roads. With wintry weather forecast the Chair of The Highland Council’s Environment, Development and Infrastructure Committee has reassured communities and the public that roads and pavements will continue to be treated despite a potential £2m overspend being predicted in the Council’s winter budget. Work to implement a 20mph speed limit project in the Ross and Cromarty Area is moving forward and at today’s meeting of the Area Committee, Councillors gave their go-ahead to specific proposals for four Ross-shire towns. Funding for the first phase of a major refurbishment of Inverness railway station is in place and work should be under way by late summer of this year. A former Youth Trainee from Gairloch has been busy behind the wheel of a snow plough keeping routes across Wester Ross open during the recent wintry weather. 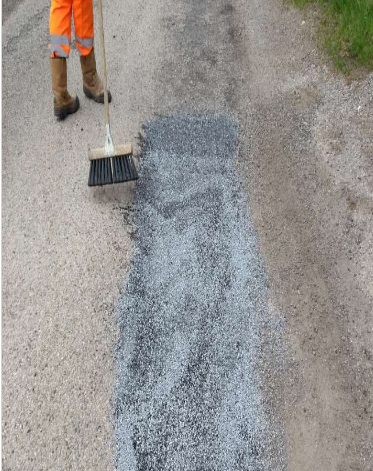 BEAR Scotland is undertaking an essential programme of works across trunk roads in the North West of Scotland to address the accelerated road surface deterioration caused by recent winter weather conditions, where the freeze and thaw cycle has weakened the carriageway. Money included in an approved capital budget for harbours, is being allocated to proceed with necessary repairs on Nairn Harbour. Works are expected to start on Tuesday 9 January 2018 (weather depending) and will last for approximately 3 weeks. The Highland Council is reassuring people in the region that since Storm Caroline and the arrival of winter weather to the region, the Council’s Community Services has been deploying all of its available resources to tackle the condition of Highland Council pavements and roads. Police in Nairn are offering advice to motorists who use the Whitebridge on the B9090 between Clephanton and Cawdor. THE West Link distributor road will open fully to traffic from noon on Monday 11th December. For public safety, The Highland Council has closed Nairn Harbour access road. ​​​​​​​Are you ready for Storm Caroline? A section of Old Edinburgh Road in Inverness will be temporarily closed to all traffic on Friday 8 December from 8am to 4pm. Motorists are being advised that there will be a temporary road closure of the U1556 Drumchardine Road, Kirkhill from Wednesday 29 November until Thursday 30 November 2017. The brand new West Link Road which joins one end of the city to the other between Dores roundabout and the main A82 road at Queens Park is scheduled to open to the public at 12 noon on Monday 11th December. Summary of road treatments and school closures for 23 November 2017. The priorities by which The Highland Council will grit roads in Caithness this winter have been approved. The Highland Council has appointed a contractor to carry out vegetation clearance on a section of the Dingwall Flood Defences. With the recent drop in temperatures, The Highland Council’s winter gritting service has started in earnest and the winter fleet has been mobilised. The Highland Council has sent its response to the Scottish Government’s Concessionary Bus Fare consultation. 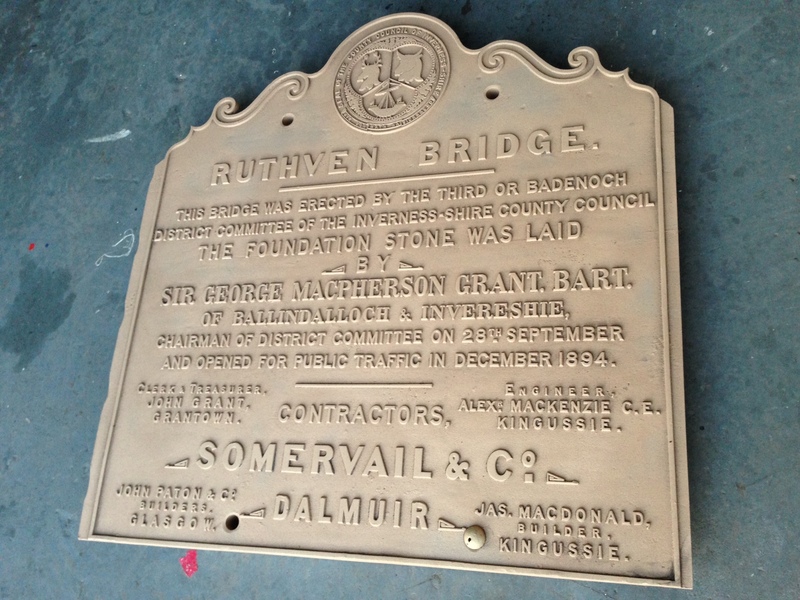 The results are in and the public have chosen Holm Mills Bridge as the name for the new bridge over the River Ness. 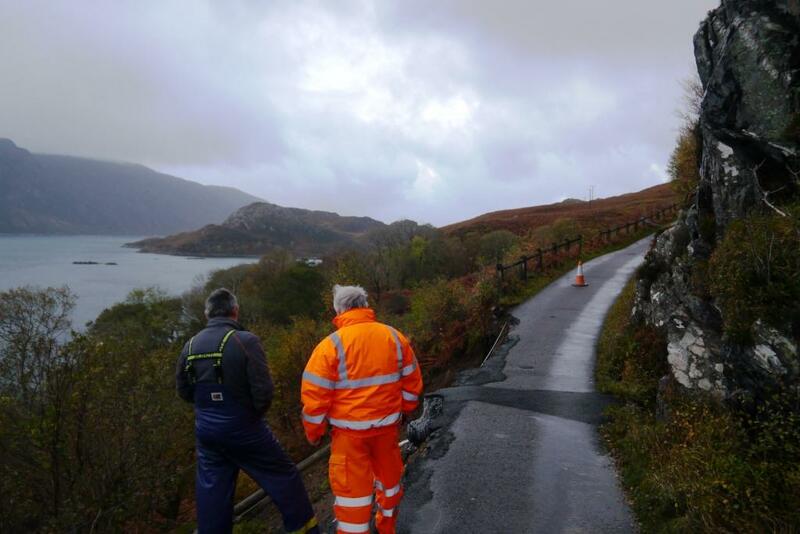 Following the collapse of a 15 metre section of road at Soldiers Rock on the Knoydart peninsula late on Tuesday 24 October, work is progressing on repairing the landslip on the single track road. A choice of eight names for the new bridge over the River Ness which will complete Phase one of the West Link, will go to a public vote. Motorists are being advised of a partial road closure of the B871 Syre – Kinbrace road in Sutherland, North West Highland. Inverness city centre shoppers will get the chance on Saturday (28 October) to learn more about the growing opportunities for travelling in ways that save them money, keep them safer and benefit the environment. Late last night the Highland Council's Roads Inspector received a phone call advising him that that a 15 metre section of the road at Soldiers Rock on the Knoydart peninsula had collapsed. The Highland Council has undertaken surveys on the Milton of Leys distributor road, which reveals that a high number of drivers are speeding, some at significantly above the speed limit of 30mph. Highland is ready for winter – are you? The Highland Council is ready for winter and prepared to grit council roads as the council’s winter maintenance programme starts on 14 October. Motorists are being advised of SGN roadworks on Millburn Road, Inverness between Raigmore Interchange and Millburn Roundabout on Wednesday 11 October 2017. A major programme of work worth almost £900,000 for the A82 between Tarbet and Crianlarich has been given the go-ahead. 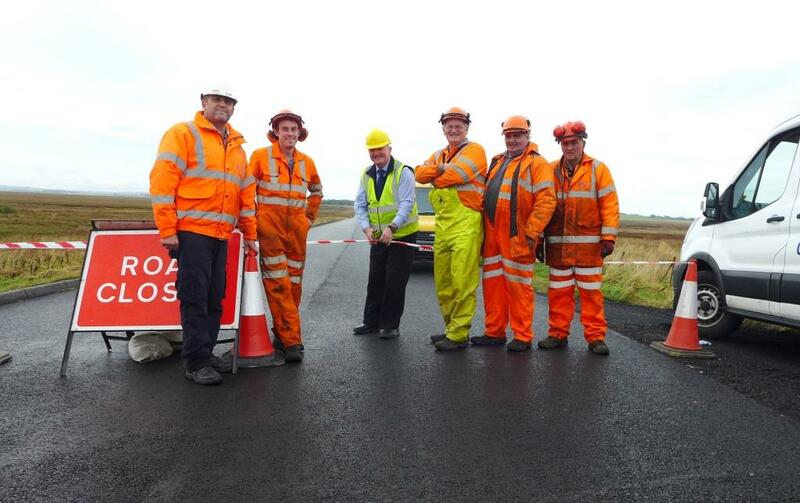 Caithness Civic Leader Cllr Willie Mackay has welcomed the reopening of the B876 Killimster Moss Road. Drivers are being advised that on Thursday (28 September) temporary traffic lights will be in position at the A82 approach to Tomnahurich roundabout. The Highland Council has opted to take the lead in a proposed Strategic Transport Appraisal of the wider Fort William area as a priority, due to congestion and delays on the A82. The priorities with which The Highland Council will grit roads within the Badenoch and Strathspey area this winter have been approved by the Badenoch and Strathspey Area Committee. A832 road repairs – delays anticipated. Motorists are advised to expect around a 2 week delay to the completion of road repairs on the A832 which was damaged following flooding last Friday 25 August. The Highland Council is working with a national charity to promote safer streets in the city of Inverness. 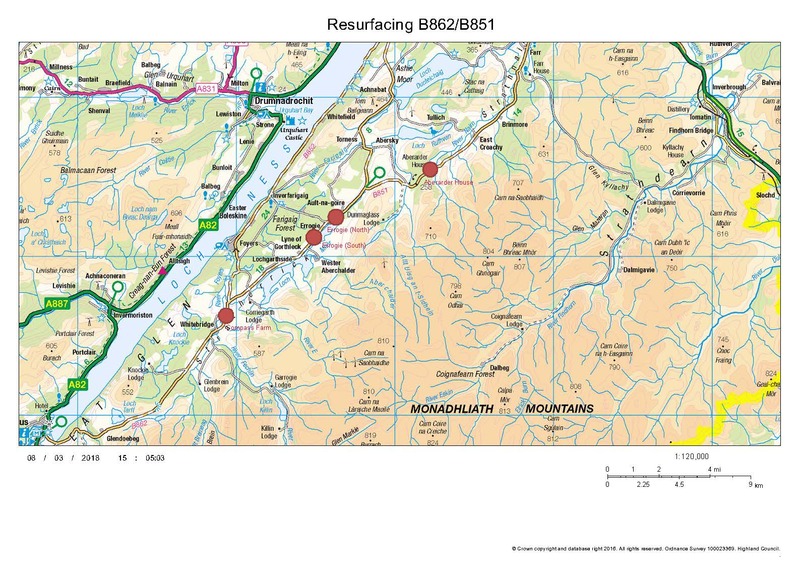 Motorists are being advised that repairs are being made to the A832 throughout this week - estimated until Friday 1 September (weather permitting). HITRANS have made arrangements for the installation of a new bus shelter at the bus stop outside Marks and Spencers on Monday 28 and Tuesday 29 August. Officers are urging the motorcyclists and other road users to plan ahead in order to keep any disruption on the roads to a minimum. Pupils from Tarradale primary joined local councillors and guests earlier today (Thursday 24 August) to officially open the new £3.3M railway bridge in Muir of Ord. 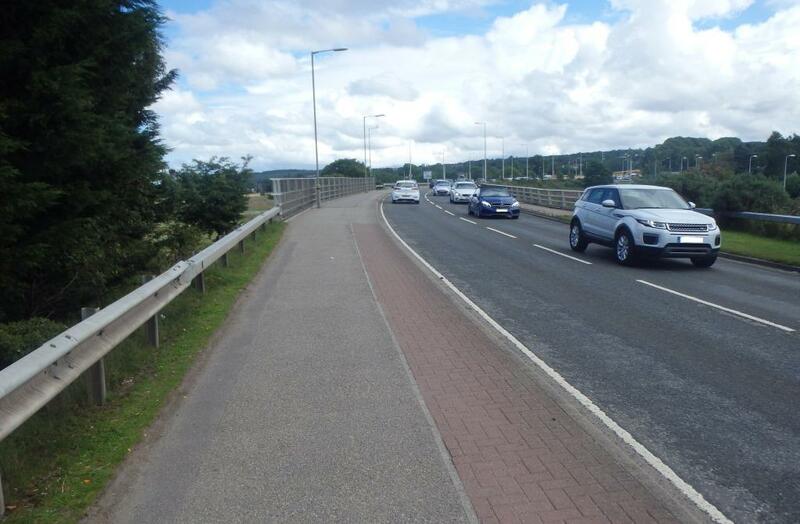 Highland Council has invested £50k to help protect pedestrians in Inverness city centre. The Lochaber Area Committee has agreed that an options appraisal should commence for the future of the Corran Ferry service. Highland Council is reassuring all pupils, parents and carers this morning (23 August) that all school transport routes have been covered in Caithness and East Ross following the loss of the contractor Andrew's (Shetland) Ltd.
Parents and carers of pupils using Andrew’s (Shetland) Ltd coaches for Thurso, Wick, Dornoch, Golspie and Invergordon High Schools and some of their associated Primaries are warned for disruption. 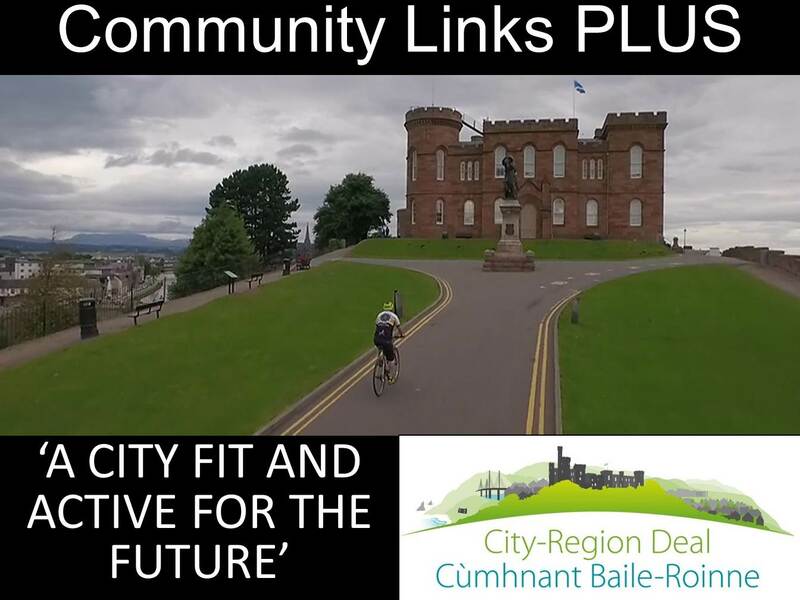 The ambitious ‘Inverness City Active Travel Network’ Project was presented to the Community Links Judging Panel in Edinburgh on Thursday last week. The Inverness Project is one of five submissions. Motorists are advised of a temporary road closure in Caithness to allow repairs to be carried out to approximately 1km of the B876 at Killimster Moss. 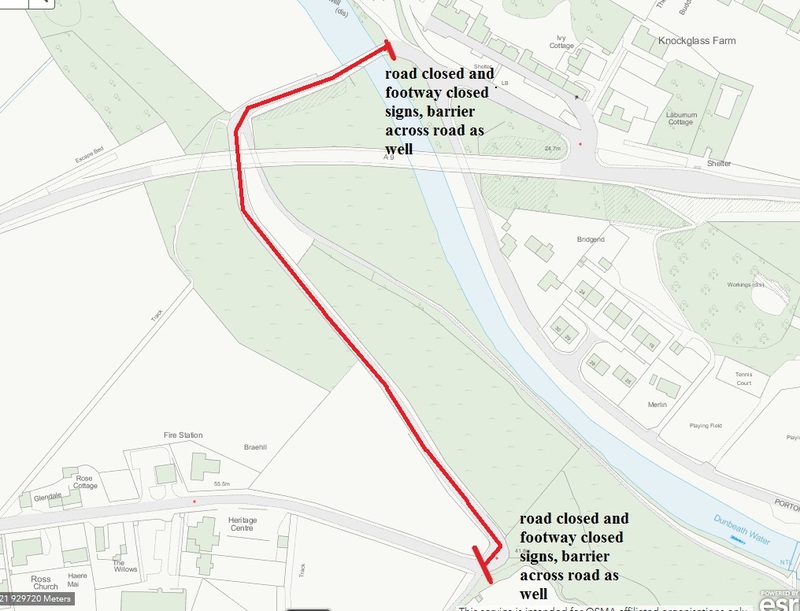 Motorists and pedestrians are advised that there will be a temporary road closure of the A862 Ardullie – Dingwall – Beauly – Inverness road at Lovat Bridge. Major refurbishment works planned for the A9 Cromarty Bridge are set to get underway in August which will see four spans of the bridge upgraded. The Highland Council is pleased to report that at 12.30pm today (Thursday 20 July) the Corran Ferry fully resumed its foot passenger and car service. An underwater survey was carried out yesterday in the presence of two MCA surveyors. The survey revealed only minimal damage to the hull and very slight damage to one of the propeller blades. Motorists using Highland Council car parking machines will no longer have to search for change with the introduction of ‘RingGo’ phone parking payments across the region. Members of The Highland Council have unanimously agreed to the establishment of The Northern Roads Collaboration Joint Committee. 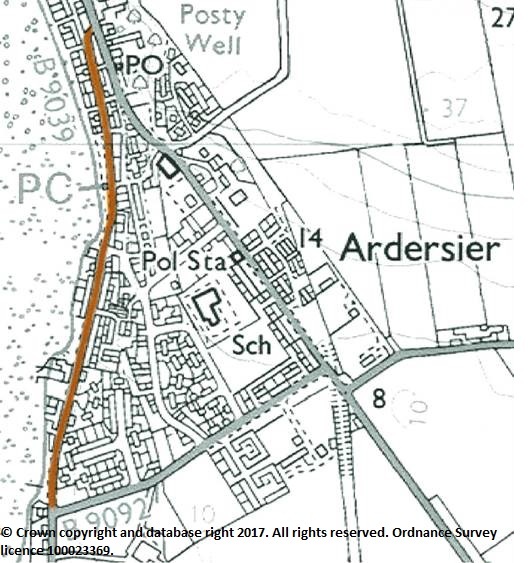 Motorists are being advised of a temporary road closure of the B9092 Ardersier – Nairn Road. 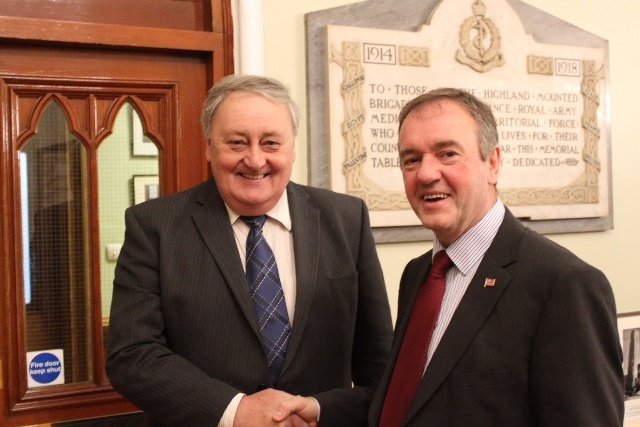 The new Chairman of HITRANS, the regional transport partnership for the Highlands and Islands, is Councillor Allan Henderson, Chairman of The Highland Council’s Places Committee. A national project encouraging thousands of people to cycle for every day journeys is coming to Inverness. Works are programmed to begin on the the rock face above the A890 Stromeferry Bypass from 10th of July for approximately 8 weeks. Overnight surfacing improvements worth £300,000 are due to get underway on the A9 Cromarty Bridge starting later this week. Over 200 primary 6 and 7 pupils from 47 local primary schools will gather at the Culduthel Christian Centre in Inverness on 24 May 2017 to be trained in new roles as Junior Road Safety Officers for their schools. Drivers in Inverness are being advised that temporary road restrictions will be in place in the Lochardil area of the city from Monday 15 May. The Highland Council and partners are advising motorists of temporary road closures and speed restrictions which will be in place next weekend (22 - 23 April) during the Etape Loch Ness cycling event. 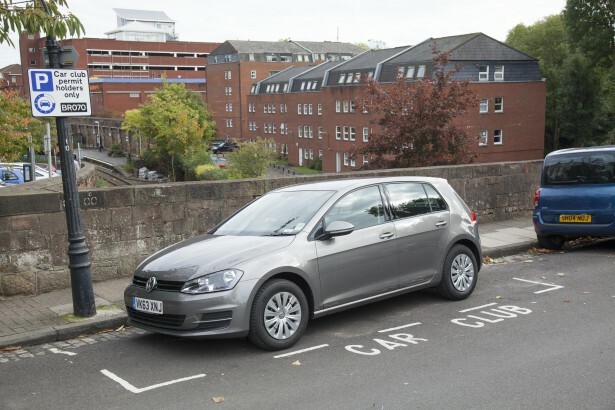 Highland Council is informing Council parking permit holders in Inverness and Lochaber that with immediate effect there is a 10% increase on charges as agreed in the Council’s 2017/18 budget. What you would like to see incorporated in your active city? 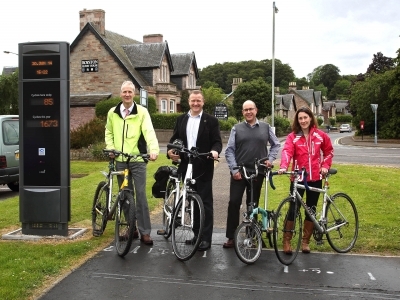 The Highland Council has been shortlisted to enter this year's Sustrans Community Links PLUS funding bid with the long term aim of creating an active city fit for the future: promoting active travel, improving community health and reducing congestion. 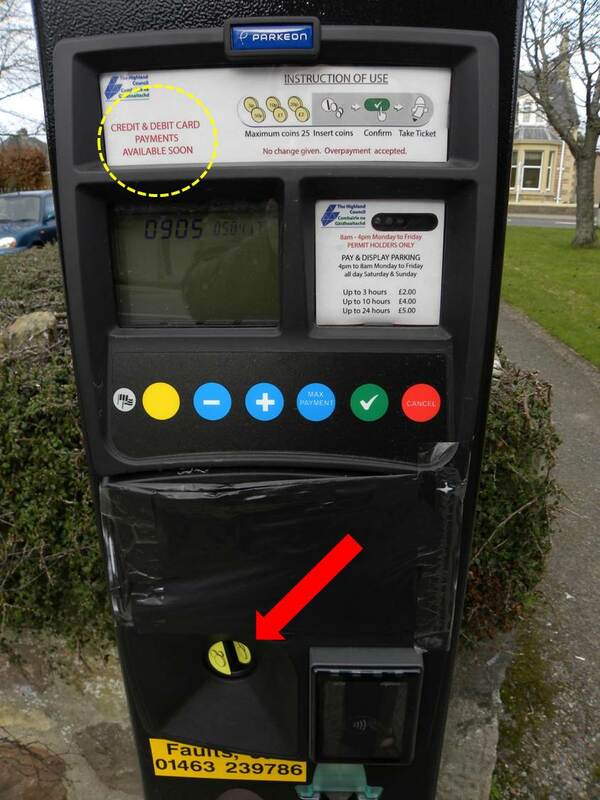 Highland Council is advising motorists that its car parking machines at Council headquarters on Glenurquhart Road, Inverness are accepting coins only at this point in time. The Tain Common Good owns a stretch of the bank above Ankerville Street road just past Knockbreck Primary School. Unfortunately the elm trees have Dutch Elm disease and will have to be removed both for safety reasons and also to stop the disease spreading further. Works are continuing on the construction of the new £3.3M railway crossing in Muir of Ord to replace the existing bridge carrying the A862 over the main Inverness to Dingwall rail line. The C1089 Dunbeath Brae Road will be closed from tomorrow morning as emergency repair works are required to stabilise the road and embankment. Drivers in Inverness are advised that sections of the C1199 Old Edinburgh Road, the U4175 Old Edinburgh Road and the U4146 Muirfield Lane will be temporarily closed to traffic next week. 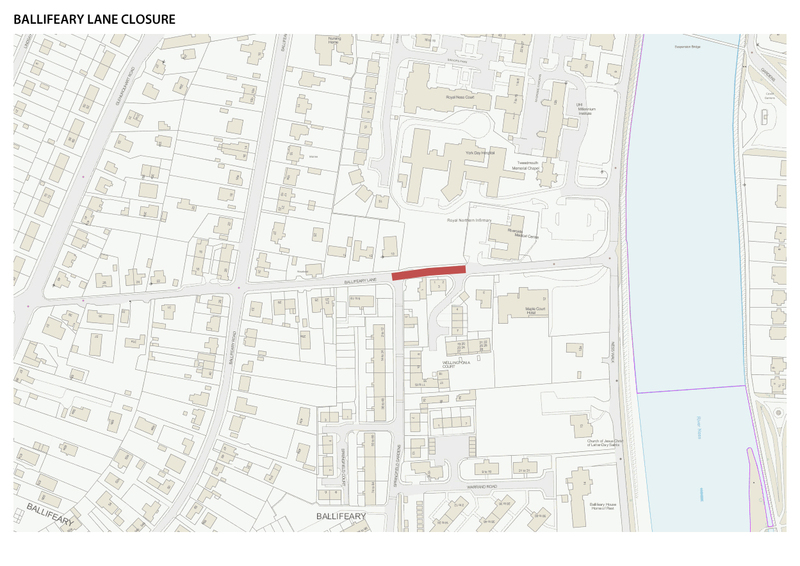 Traffic will be temporarily prohibited during a closure of U3804 Baron Taylor Street, Inverness. Work is due to begin this month on the Soldiers Bridge which crosses the River Lochy between Black Parks Road, Inverlochy and Lochyside. As part of The Highland Council’s budget decisions for 2017/18 made on 16 February 2016, Members agreed to increase the margin on marine fuel sales. The ScotRail Alliance has appointed the design team that will work on Inverness Station’s new look, prior to tenders for the construction work being invited in autumn 2017. The first of the central beams to connect the north and south side of the West Link bridge were put in place today, 6 March 2017. A significant increase in the usage of a major cycle route has reinforced the claim of Inverness to be Scotland’s leading cycle city. Scottish Water will be carrying out road repair work at Barn Church Road starting on Monday 20 February. A pedestrian crossing in Drumnadrochit is to be upgraded to a new signalised puffin crossing to improve accessibility for all pedestrians on this section of the A82. 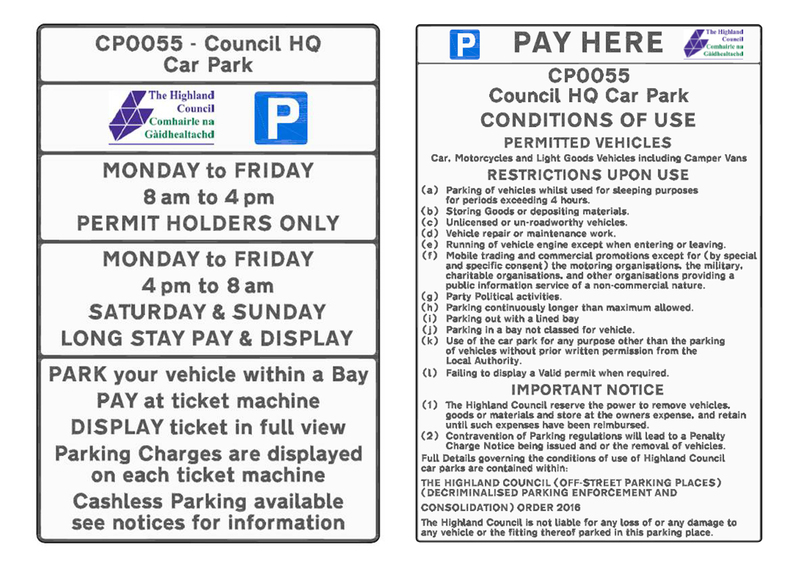 Motorists are being advised that pay and display parking at Highland Council’s headquarters car park comes into force on Monday 13 February. 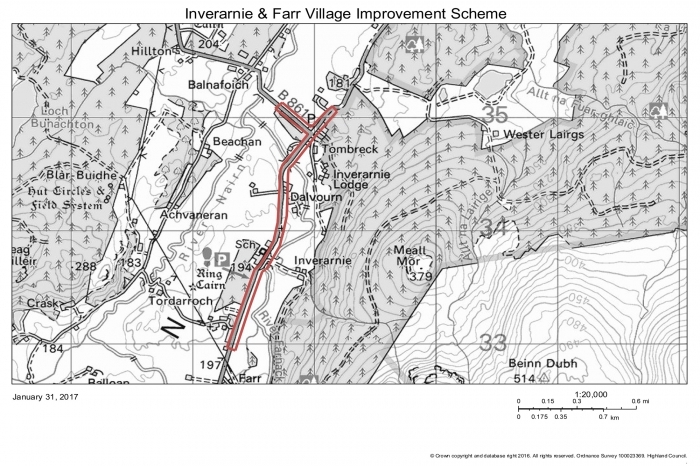 Local residents and businesses are being invited to a Highland Council public forum on Thursday 16 March to view and have their say on proposals for the B851/B861 Inverarnie and Farr village improvement scheme. Motorists are being advised that a temporary traffic prohibition order will be in operation from Monday 6 February to Monday 22 May 2017 to enable the temporary closure of Stuart Street, Ardersier. Motorists are being warned to slow down with the introduction of a new Merkinch Area 20mph scheme in Inverness. Would you take the train to Evanton? The Ross & Cromarty Committee is exploring the potential business case for re-opening Evanton railway station. Motorists are being advised of temporary road closures and traffic restrictions in Inverness on Sunday 22 January 2017 which are for public safety during Eden Court’s Burns Celebration procession. 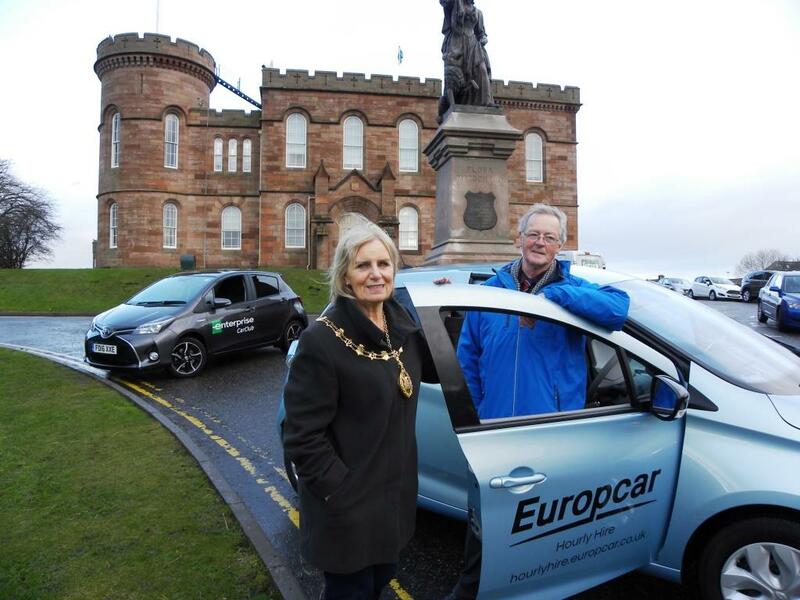 The Highland Council and partners HITRANS are delighted to announce the launch of two car club schemes operating in Inverness from this week onwards. 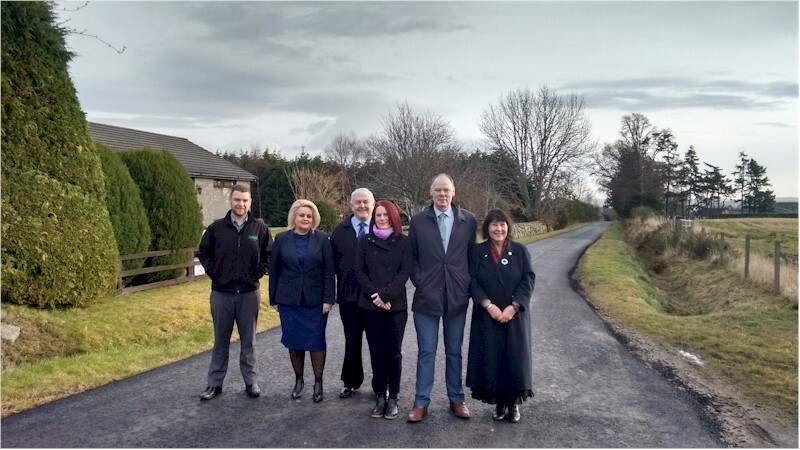 An investment of £1.2M from Transport Scotland has been awarded for improvements to three bridges on the A82 near Invergarry. BEAR Scotland, working on behalf of Transport Scotland, has announced plans to refurbish a section of the A9 Cromarty Bridge starting in April 2017. Motorists, cyclists and pedestrians in Nairn are urged to be aware of The Highland Council’s gritting plans in the local area over the winter months. Motorists, cyclists and pedestrians are urged to be aware of council gritting plans in the Inverness area for the winter. The current weather conditions can be challenging for all road users both experienced and inexperienced. Motorists, cyclists and pedestrians are urged to be aware of council gritting plans in their area for the winter. Motorists are being advised that part of MacEwen Drive in the Crown area of Inverness will be closed from 9:30am until 3pm on Wednesday 09 November 2016. 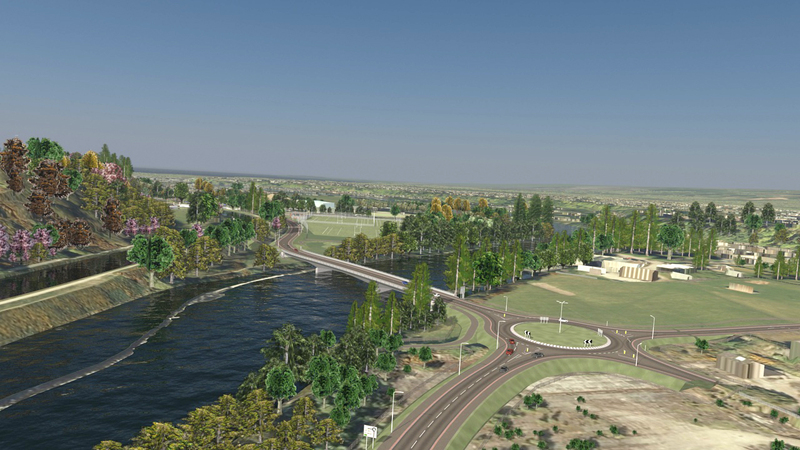 Plans to build a replacement crossing of the River Nairn moved a step closer today with Members of the Council’s Planning, Development and Infrastructure Committee approving the new route. The Highlands biggest theatrical experience and fancy dress event of the year, the Inverness Common Good Fund sponsored Halloween Show will be staged on Saturday 29th and Sunday 30th October on Ness Islands. 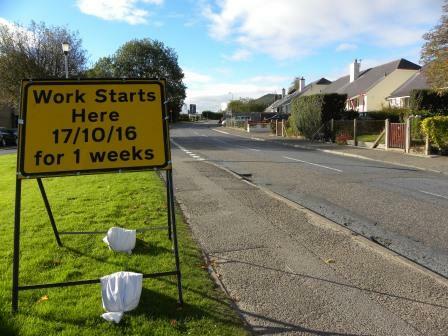 Motorists are being warned of roadworks taking place on Leachkin Road, Inverness, starting on Monday 17 October 2016 (weather depending). Motorists are being warned that the Millburn level crossing will be closed from 12 noon Saturday 15 October until 6am Tuesday 18 October. Members of Isle of Skye and Raasay Committee have received an executive summary and presentation of a report which assesses the business case for developing air services to Skye. The Highland Council’s Community Services is running a trial which will involve creating car club bays on street and in car parks around the Highlands that will allow vehicles to be made available for hire by joining a car club. Motorists are being advised that part of Ballifeary Lane, Inverness will be closed on Tuesday 23 August from 9:30am to 3:30pm. After being successful in gaining a place on the final short list of projects in the Community Links PLUS competition, The Highland Council’s Inverness Active Travel Network project has received a commendation from the judging panel. Drivers are being advised that temporary traffic restrictions will be in place on local roads prior to, during, and immediately after the ‘Scottish Open 2016 golf tournament. EDF Energy Renewables, owners of the Corriemoillie Wind Farm west of Garve, are warning road users in advance of possible traffic delays over the summer. 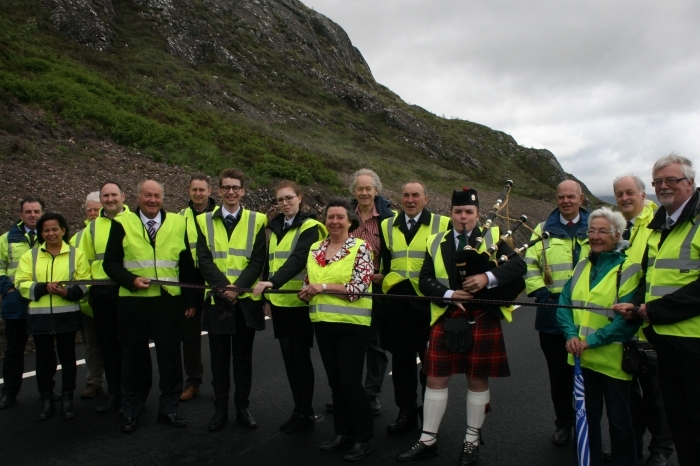 The first section of a three phase programme of works to complete a twin track road from Kinlochewe to Gairloch has been officially opened. The Vice Chair of Highland Council’s Community Services Cllr Richard Greene and Badenoch and Strathspey Ward Member Cllr Jaci Douglas recently viewed a ‘Jetpatcher’ in operation at Grantown on Spey. The budget for Road Maintenance for 2016-17 is to be distributed between the eight Local Area Committees to enable greater local decision making in line with the Council’s localism agenda. 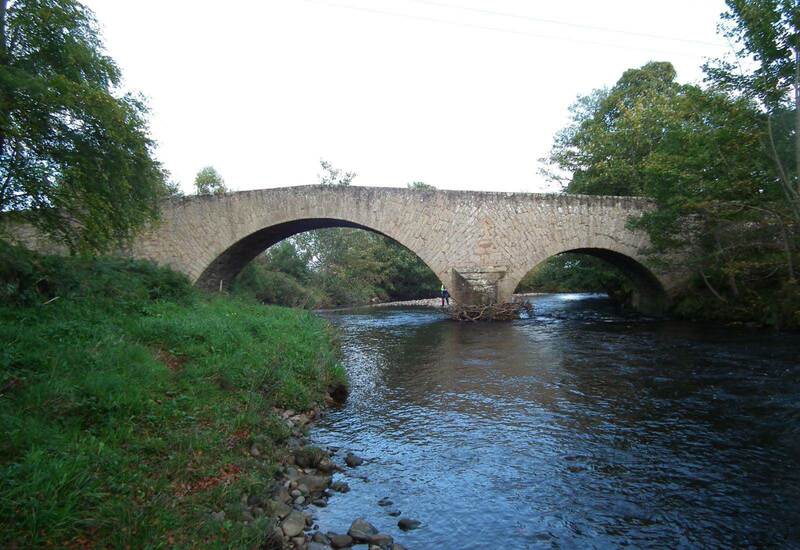 From Saturday 30 April 2016, The Highland Council will introduce an 18 Tonne maximum gross weight restriction at White Bridge on the B9090 Loch Flemington – Clephanton – Cawdor – Nairn Road. Motorists are being advised by The Highland Council that there will be a temporary road closure of part of the B862 at Errogie, south of Inverness from 8:30am to 4pm on Thursday 21 April and Friday 22 April 2016. The Highland Council and partners are advising motorists of temporary road closures and speed restrictions which will be in place this weekend 23rd – 24th April during the Etape Loch Ness cycling event. Next week sees the launch of the HItravel campaign in east Inverness and Nairn. The work aims to help local residents to reduce traffic congestion, to make the areas more pleasant place to live, visit and spend time. Motorists are advised that part of Ness Walk in Inverness will be temporarily closed to traffic from Monday 14 Marchto Friday 18 March between the hours of 9am and 4pm. A report into the economic and social benefits of a proposed air service between Skye and the Central Belt has been published today (March 9). Drivers advised that from next Tuesday (15 March) there will be a temporary road closure on part of the C1017 Kerrowgair – Croy road. The Leader of the Highland Council, Margaret Davidson, has welcomed the announcement by the UK Transport Minister Robert Goodwill, that the emergency towing vessel (ETV) will continue to cover the north of Scotland for at least another six months. Several roads in the centre of Inverness will be temporarily closed to traffic on Saturday morning (20 February) as the city gears up to host the opening ceremony of the Snowman Rally. The Highland Council Leader, Margaret Davidson, gave a cautious welcome to the engagement of key stakeholders in talks with the MCA over the future protection of Highland’s coastal waters. Funding of £23,000 was approved at yesterday’s Sutherland County Committee to complete the works due to be undertaken at Evelix Road, Dornoch. The Leader of the Highland Council, along with her counterparts from Shetland, Orkney & the Western Isles and representatives of KIMO, will tomorrow press for funding for the last remaining ETV. Funding has been provided by the Scottish Government for The Highland Council to administer a flat rate grant of £1,500 to any household, business, community organisation or sports clubs internally affected by flooding since July 2015. The Highland Council is preparing for the implementation of a Decriminalised Parking Enforcement (DPE) Scheme this year. The Highland Council has awarded £1.128 million to Community Transport schemes across the Highlands, spread over the next 3 years. New standards have been set out for grass-cutting across the Council area to meet statutory requirements and achieve savings. Highland Council has invited tenders for a contract for a summer ferry service between Cromarty and Nigg. Members of the Community Services have considered the outcome of a community consultation on the Corran Ferry. The Council’s Community Services Committee has approved an additional programme of £2.7 million for the coming year 2016/17. School and road condition reports by The Highland Council’s Community Services for the morning of Friday, 29 January 2016. The Highland Council is to put in place a package of measures that will develop Inverness as a ‘coach friendly city’. Ambitious plans to transport timber from the Flow Country in remote North Sutherland to Inverness via rail instead of road could pave the way for other projects in rural communities throughout the UK, delegates were told at a rail stakeholder conference organised by HITRANS, the regional transport partnership for the Highlands and Islands. Following negotiations with The Highland Council, Stagecoach have agreed to add two additional return daytime services between Dingwall and Evanton, with one of these extending to and from Alness. The Lochaber Transport Advice and Bookings Service which was set up as a fixed-term action learning project in March 2014 under the Integrated Transport Provision Project will close on 31st December 2015. 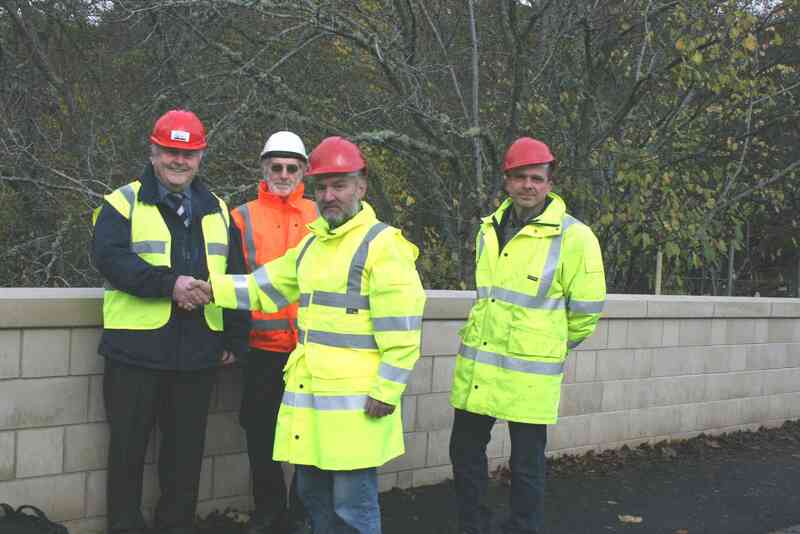 Work to replace the parapets on the arch road bridge in Evanton has been completed. The Highland Council will issue invitations to tender for the construction of West Link Stage 1, and Canal Parks Enhancement Project, to eight contractors tomorrow, Friday 20 November. Works are due to commence on the construction of a new £3.3 million road crossing of the railway in Muir of Ord, at the beginning of December 2015. 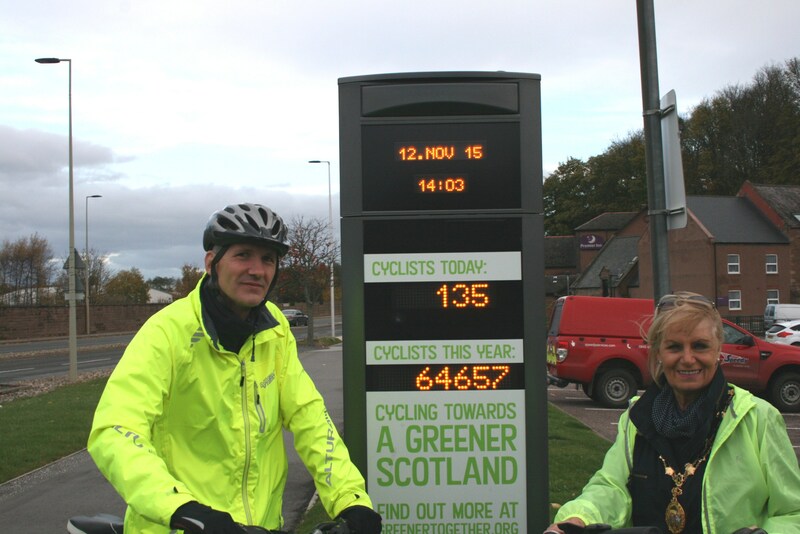 Over 64,000 cyclists have passed a Danish style Cycle Counter on Millburn Road, Inverness since it was installed last July – more than the population of the city. The Council Buildings Junction stage of the Kinnairdie Link Road Scheme in Dingwall has progressed well and The Highland Council is advising all road users that from next Tuesday (17 November) the current traffic management arrangements will be amended as the works move to Phase 2. Next week 16 Lime trees and a number of shrubs will be planted along the route of the River Ness Flood Alleviation Scheme. 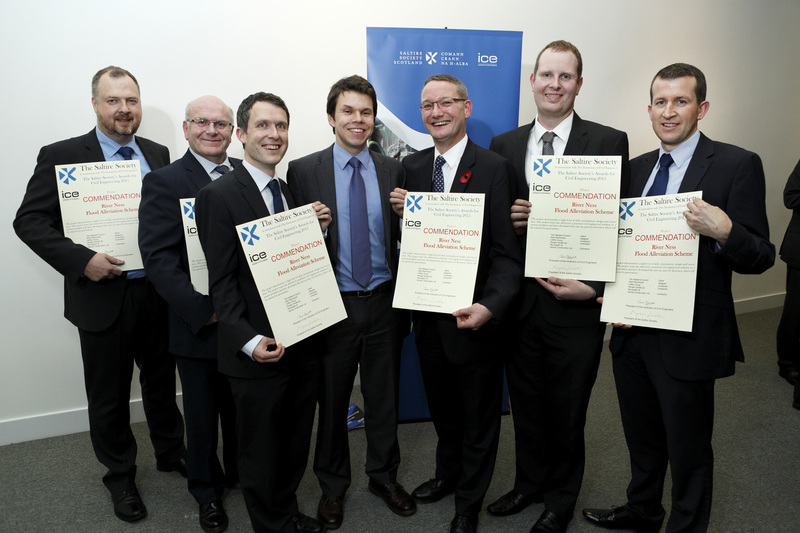 Highland Council has highlighted its successful joint working with BEAR Scotland and Transport Scotland. Members from the local community, Councillors, pupils and the team behind the project to reconstruct Ruthven Bridge on the outskirts of Kingussie met up today to celebrate its official re-opening. Applications are now being invited for community transport grants to be awarded by The Highland Council. The deadline for submitting an application is Friday 18 December 2015. £350,000 of structural works has been approved for 2016/17 by the members of the Community Services Committee. The new road layout and traffic light system at the Barn Church Road/Tower Road/Keppoch Road was opened to traffic yesterday, improving the safety of pedestrians and drivers. The Highland Council will be holding a Facebook chat on Community Services tonight. The chat is one of a series of chats on budget issues, which began with a discussion on the council tax last week. The second Public Local Communities Liaison Group meeting for the Inverness West Link Project was held last night (Monday 2 November) at the Inverness Leisure Centre. HITRANS, the regional transport partnership for the Highlands and Islands, has appointed a project officer to spearhead a significant European-funded project to assist and develop rural and remote airports with use of new technologies. The Highland Council has taken delivery of 4 new winter gritting vehicles, first of a batch of 25 which have been bought to assist and improve the delivery of its winter service. The last of the construction for the River Ness Flood Scheme in Inverness has been completed three weeks ahead of schedule. The priorities with which The Highland Council will grit roads within the Inverness area this winter have been approved by the City of Inverness Area Committee during a meeting held this morning (22 October 2015). Two city centre car parks are to offer reduced-price parking for shoppers and visitors to Inverness City centre in the run up to Christmas. Road works at Flichity Bridge are to start on Monday (26 October) and road users are advised that a temporary road closure for vehicles travelling in any direction through the area affected will be in place while work is underway. The priorities with which The Highland Council will grit roads within the Lochaber area this winter have been approved by the Lochaber Area Committee during a special meeting held this morning (21 October 2015) in Fort William. orary traffic light controls will be in place on the A82 between Bught Road and Bught Drive on Monday 12 October, working overnight and throughout Tuesday 13 October. 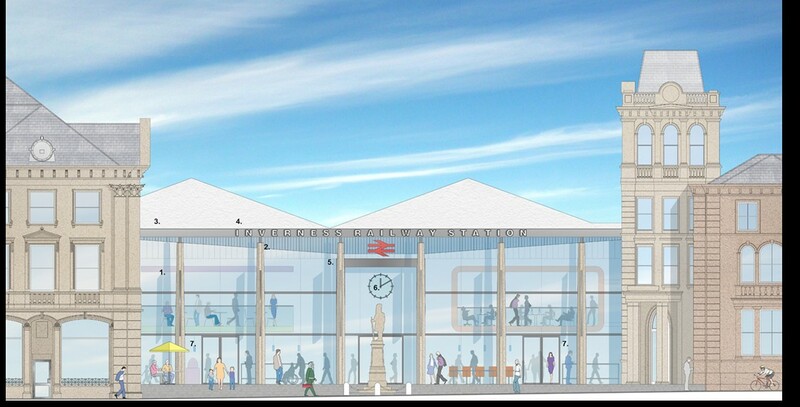 The Highland Council, in collaboration with HITRANS, is entering into a joint commission with Abellio ScotRail to develop design ideas for improvements to Inverness Railway Station. Work is programmed to take place on Academy Street, Inverness in the evenings of Monday 28, Tuesday 29 and Wednesday 30 September and during the day on Thursday 1st October to enable the return of two-way traffic flow to this key city centre road on Friday 2nd October. 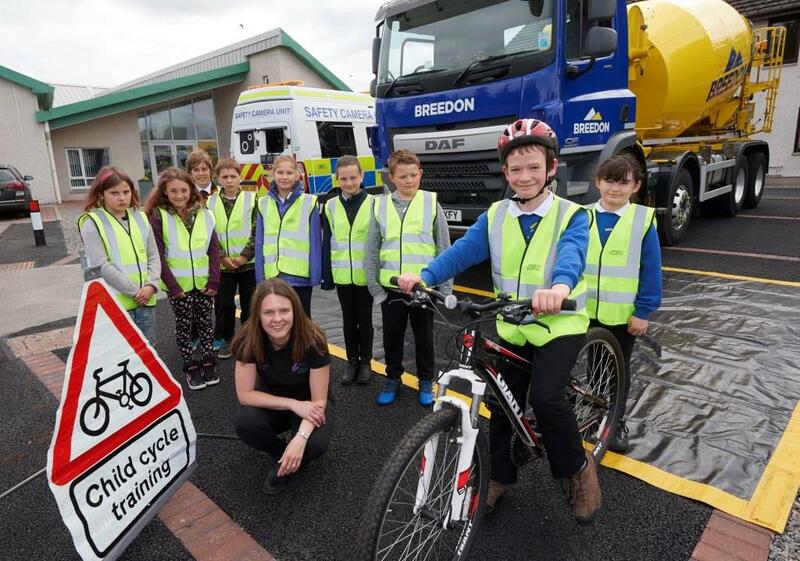 Pupils at four schools in the Nairn, Badenoch and Strathspey area are to benefit from projects being delivered by The Highland Council through the Scottish Government’s Cycling, Walking and Safer Streets (CWSS) programme. The Highland Council is advising motorists and local businesses that resurfacing works are to commence at 8am on Monday 21 September 2015 at Strathpeffer Road, Dingwall. 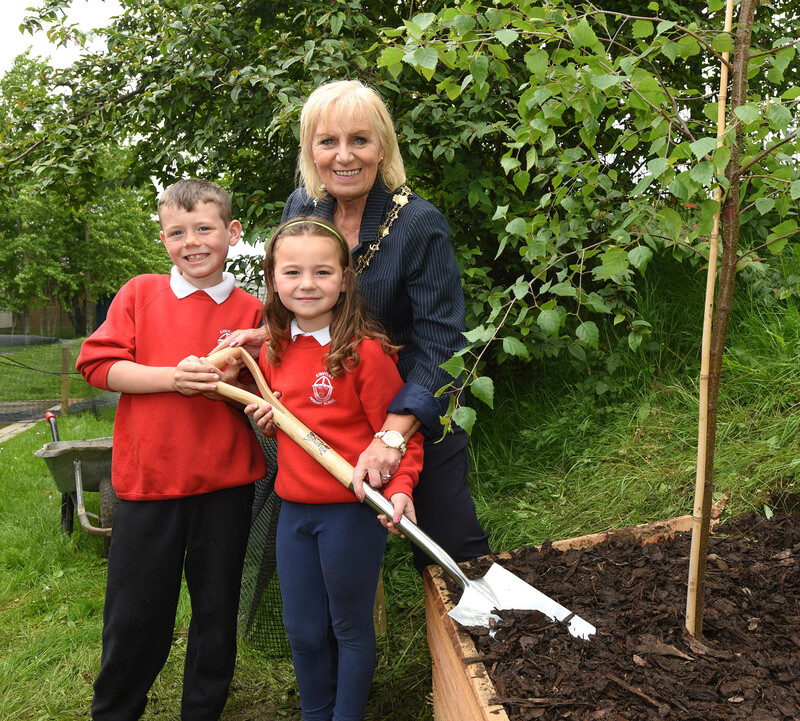 Pupils at two Sutherland and two Caithness primary schools are to benefit from projects being delivered by The Highland Council through the Scottish Government’s Cycling, Walking and Safer Streets (CWSS) programme. Members of the public are being invited by The Highland Council to a second community consultation meeting at Cawdor Community Centre on Tuesday 6 October 2015. The B970 road at Ruthven Bridge, Kingussie will be re-open to vehicles without a weight restriction on the evening of Friday 11 September, within programmed timescales. 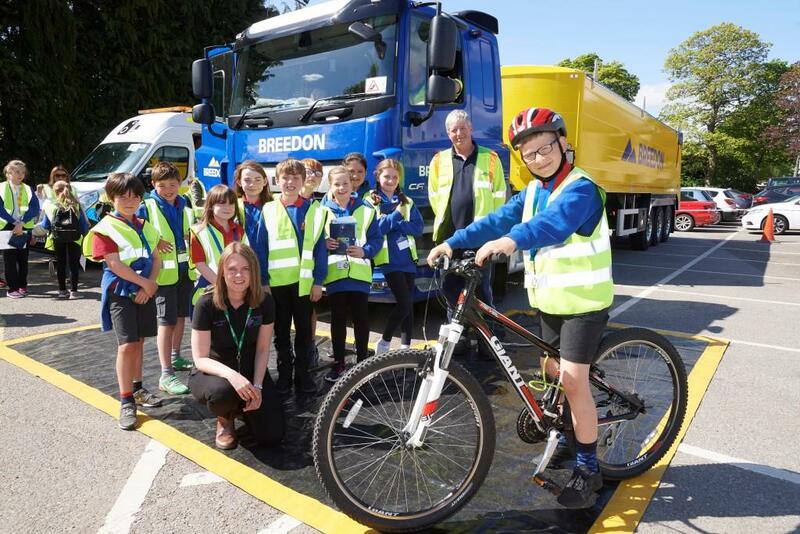 Pupils at four Inverness schools are to benefit from projects being delivered by The Highland Council through the Scottish Government’s Cycling, Walking and Safer Streets (CWSS) programme. Leiths (Scotland) Ltd have been appointed by The Highland Council to carry out resurfacing and carriageway strengthening along a section of General Booth Road in Inverness. The Highland Council is reminding all road users in Inverness that the road safety improvement works underway at the Barn Church Road/Tower Road/Keppoch Road four-way junction are to continue for a further eight weeks. 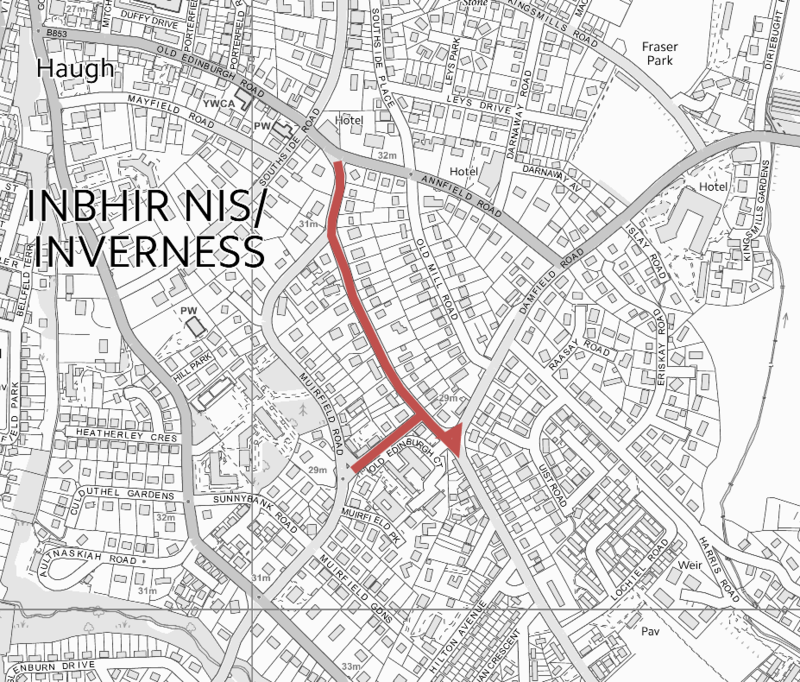 Works on the long awaited Inverness West Link Project will begin in mid-September. Funding for the project was unanimously agreed by Council in March this year. Hundreds of potholes have been repaired in the first 6 months of this year. 1,437 potholes were repaired between January and June 2015. The Highland Council’s South Planning Applications Committee has today approved plans for the reconfigured and enhanced rugby sports facility at Canal Parks, Inverness. The Highland Council is writing to residents and businesses in the city centre to advise them that they have awarded a £262k contract to Coffey Construction Ltd to carry out improvements to the Young Street / Huntly Street road junction. The Highland Council welcomes confirmation of the Compulsory Purchase Order (CPO) by Scottish Ministers which will enable the West Link to go ahead. The Academy Street Action Group met this week and received an update report on the progress M&Co are making in restoring the premises on Academy Street. The Highland Council has awarded the contract for road safety improvement works at the Barn Church Road/Tower Road/Keppoch Road four-way junction to Coffey Construction. HITRANS, the regional transport partnership for the Highlands and Islands, aims to submit a detailed planning application for a new railway station near Inverness Airport. The B970 road at Ruthven Bridge, Kingussie will be closed to vehicles and pedestrians from Wednesday 29 July for six weeks and programmed to re-open on 11 September 2015. The Highland Council is advising drivers that roads in Inverness City Centre will be temporarily closed to traffic on Sunday afternoon when the Inverness Harriers stage a trial 10K Road Race along the banks of the River Ness as part of the Inverness Gala. The small highland community of Polloch is to benefit from a £300K project that will improve a short section of ‘life-line’ public road to make it suitable for timber lorries. The Highland Council is advising drivers that roads in Inverness City Centre will be temporarily closed to traffic on the afternoon of Sunday 19 July when Inverness Harriers stage a trial 10K Road Race along the banks of the River Ness as part of the Inverness Gala. 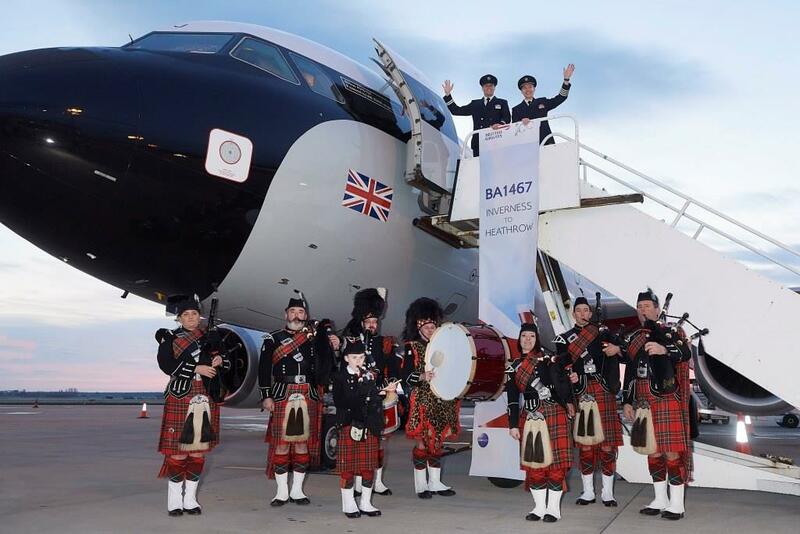 The Highlands and Islands Transport Partnership (HITRANS), the regional transport partnership, has welcomed a finding announced today (Wednesday) that increased runway capacity in the South-East of England should be created at Heathrow Airport, London. Motorists are being advised that temporary traffic lights will be in operation on King Brude Road - Scorguie Road - Canal Road from Monday 29 June to Friday 3 July between 9:30am and 3:30pm. The Highland Council has agreed to invest £2.36 million in repairing the regional road network. Road users are advised that on Saturday 20 June part of the C1112 Glen Affric Road will be temporarily closed to vehicles from 11am to 4pm during the Highland Cross 2015 event. 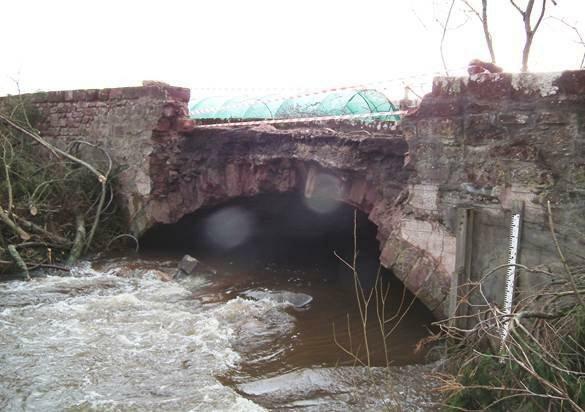 Funding is in place, a topographical survey has been done and now preliminary design work has started for a replacement road bridge on the Black Isle after the original structure was damaged beyond repair during storms in January. £250,000 is to be spent to protect road users from hazards such as large embankments, railways, water and rock slopes. At yesterdays (Wednesday 3 June) Planning, Development and Infrastructure Committee members agreed the final allocation of capital funds for road improvements, bridges and flood prevention schemes for the next three years. At yesterday’s (Wednesday 3 June) meeting of the Planning, Development and Infrastructure Committee, Councillors were given an up- date on Stromeferry and following feedback from recent public consultation and discussions with stakeholders, the Committee have agreed to reduce the three options to two. Chief Officers of the Highland Community Planning Partnership gave a warm welcome to a presentation on the West Link Project at their latest meeting. The Council regrets that there will be no ferry service between Cromarty and Nigg this year. A Fort William and Ardnamurchan (Ward 22) Ward Forum is being held on Monday 18 May to discuss the Corran Ferry. 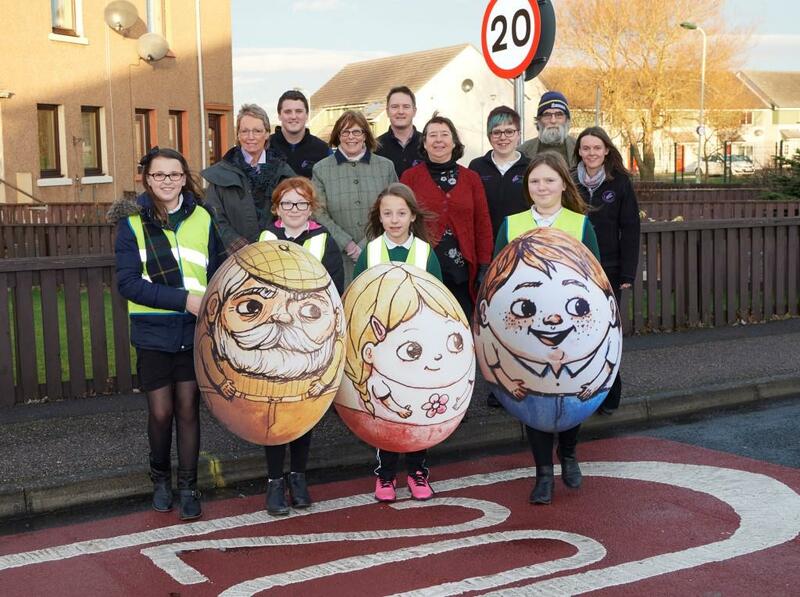 Scottish Road Safety Week aims to boost child road safety awareness. A Contractor (Morgan Sindall) was appointed yesterday, 21 April, to replace the superstructure of the existing Ruthven Bridge at Kingussie. Following the fire on Academy Street in Inverness the Multi Agency Response Team, which includes representatives from Police Scotland, The Highland Council, Inverness BID, Stagecoach, Structural Engineers and other partners has been put into effect. Temporary part road closure - C1104 Beauly – Torgormack Road. The public are being advised that part of the C1104 Beauly – Torgormack Road will be closed to through traffic between Monday 13 and Sunday 19 April 2015. Improvements to Ullapool Harbour's linkspan will mean the closure of the port to vehicular traffic from April 20 to May 18. Efforts to make safe an unstable cliff face above the A82 near Invermoriston will require that the A82 remains closed this weekend. Highland Council today agreed the detailed costs set out for the West Link and associated sports facilities and to continue to progress the scheme. The Council has agreed recommendations which include an increase in the Corran Ferry fares by 2% from April 2015. HIGHLAND Council Leader, Cllr Drew Hendry renewed the call for reinstatement of ETVs following a meeting with Secretary of State for Scotland and other Council Leaders on 26 February. Highland Council Leader, Cllr Drew Hendry is to meet with the Secretary of State for Scotland today (Thursday 26 February), to discuss the provision of Emergency Towing Vessels (ETVs). Motorists using the A835 approximately 3km west of the Braemore Junction at Lael Forest will soon benefit from an improved road surface following resurfacing works that start next week. As the cost of electricity is set to double over the next ten years, an easy-to-use toolkit has today (16 February 2015) been launched to give Scotland’s local authorities real-time information on how many millions they would save by phasing in energy efficient LED street lights. 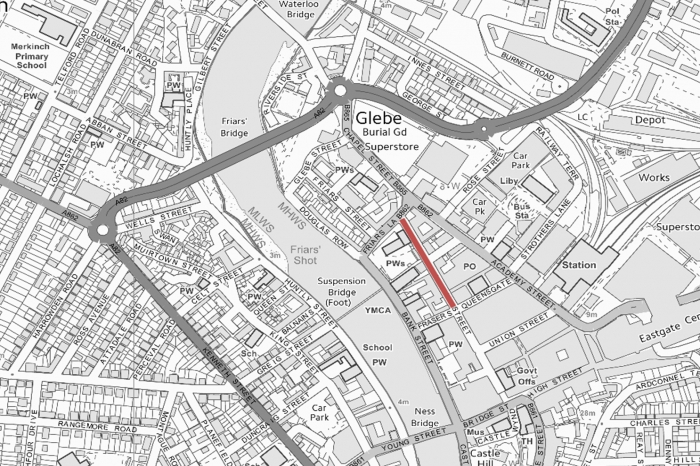 Motorists are being advised that from Tuesday 24th February until Tuesday 19th May, Bank Street will re-close to through-traffic from Fraser Street to Friars Street. Members of the Caithness and Sutherland Area Committee have praised council staff for their reaction to the recent storm and power outages which affected many communities across the area. Works to reopen the B9163 Findon Mains – Cromarty road at Newhall Bridge are nearing completion. The bridge was badly damaged during a storm on 9th January and a temporary bridge has now been installed on the line of the existing damaged bridge. The Community Services Committee has supported a move to ask the Highland Council to revisit the budget saving of £120,000 for pre-treatment from next winter. Road safety improvements worth £460,000 are to be made to a section of the A9 Dual Carriageway at Findhorn Bridge, one mile south of Tomatin. Motorists are advised for their safety that the Beallach na Bà road to Applecross is now closed (as at 3:30pm - Friday, 30 January 2015). The Highland Council and Trunk Road Operator BEAR Scotland are reassuring motorists that they have plenty of road salt in stock throughout their areas and that treatment of Highland roads is business as usual. Works start Monday 9 February for two weeks. 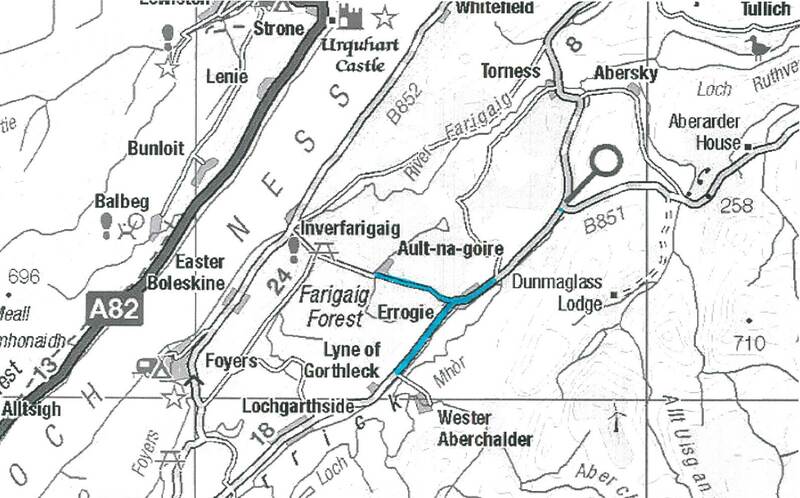 Essential resurfacing works worth £350,000 will be carried out on a 1.5km section of the A835, west of Contin. Works has started this week on ’Phase 3B’ of flood alleviation measures in Smithton and Culloden in Inverness. The Highland Council wishes to clarify that if anyone is seeking information on their Winter Maintenance Policy and gritting maps then this information can be found on the Highland Council website. Newhall Bridge on the B9163 Findon-Cromarty road was badly damaged by a falling tree during the storm last Friday (9th January 2015). The bridge has been closed to vehicular traffic but remains open for pedestrians. Strategic and local emergency planning meetings have continued today (Sunday) to address local impacts of the severe weather. Due to storm damage, two schools, may not be open on Monday. Brora Primary School and Canisbay Primary School have both suffered some roof damage. A number of council buildings have been affected by storm damage. The Highland Council has been working with partners in other agencies to plan for the impact of the severe storms overnight and throughout today. FOLLOWING reports of falling masonry at a building in Church Street, Inverness, the immediate area has been closed off. Emergency works to the embankment on the A9 near Kincraig were completed on Monday 5 January following an extensive repair effort by BEAR Scotland, Highland Council and specialist contractors. Following the recent embankment landslip adjacent to the A9 Trunk Road at Meadowside near Newtonmore, the Council is advising drivers that the B9152 road will remain closed over the festive period to allow BEAR Scotland to remove debris and prepare for embankment repair works. Invergordon is enjoying a full display of new Christmas lights for the whole High Street this year, thanks to completion of the project to replace the of old lights which began in 2011. A Project Group has been set up to scope funding options for a Stromeferry Bypass. A tidal wave, reportedly about 2 metres high, swept up Thurso river yesterday during high tide and the force tossed part of a concrete wall onto a road. A new Commonwealth Games Legacy 2014 Cycle rack was recently installed at the Town House, Inverness, after a successful application to Cycling Scotland. More than 180 organisations registered for the chance to own a Legacy 2014 cycle rack, to help in their efforts in promoting cycling to work. A meeting has been held by local Councillors with representatives from BEAR Scotland, Police Scotland and NHS Highland, to discuss concerns raised by members of the public following recent closures of the Skye Bridge. Are you ready for winter asks Highland Council? The Highland Council is supporting the Scottish Government’s Ready Scotland Campaign and urges people in the Highlands to take some time to get ready for winter and all kinds of severe weather. The Highland Council is supporting a nationwide campaign to remind drivers of the new lower drink drive limit in Scotland and share advice on how to stay safe this festive period. Funding that will benefit the safety of pupils at two Ross-shire schools has been approved today (Wednesday 19 November) by The Highland Council’s Skye, Ross and Cromarty Area Committee. 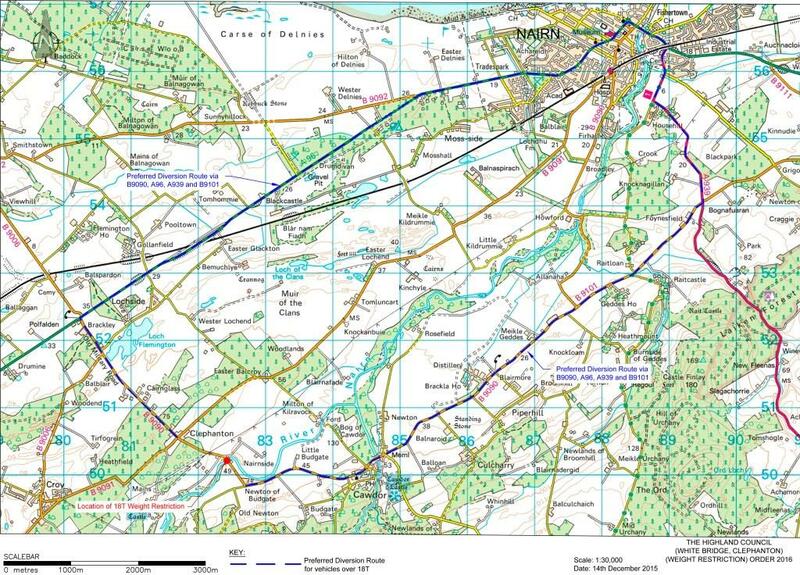 A contractor has now been appointed to undertake slope stabilisation works on the A890 Stromeferry Bypass. 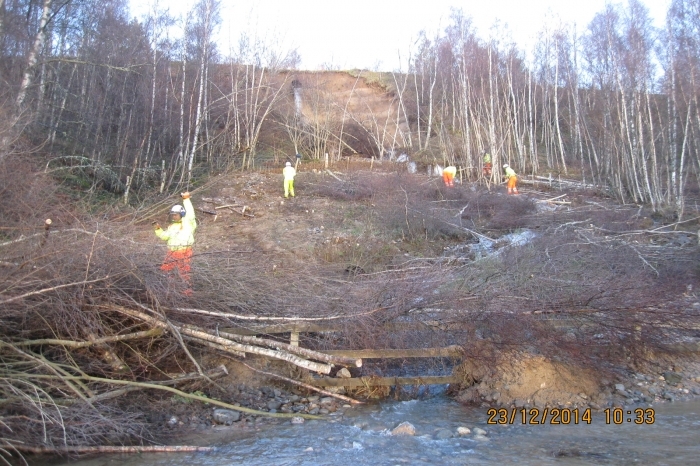 Rope Access Scotland Ltd will carry out work to stabilise the slope which suffered from a landslip two weeks ago (Tuesday 28th October 2014). The Community Services Committee today considered the implications of a report on the cost of running the Corran Ferry, which, despite fare increases, continues to run at a deficit. Members of the Planning, Development and Infrastructure Committee yesterday examined the findings of Strategic Transport Appraisal Guidelines (STAG) appraisal carried out for the Stromeferry Bypass. Following the recent landslip and road closure on the A890 Stromeferry By-pass between Ardnarff and Attadale, the road is currently open between the hours of 07.00 and 19.00 under traffic management. 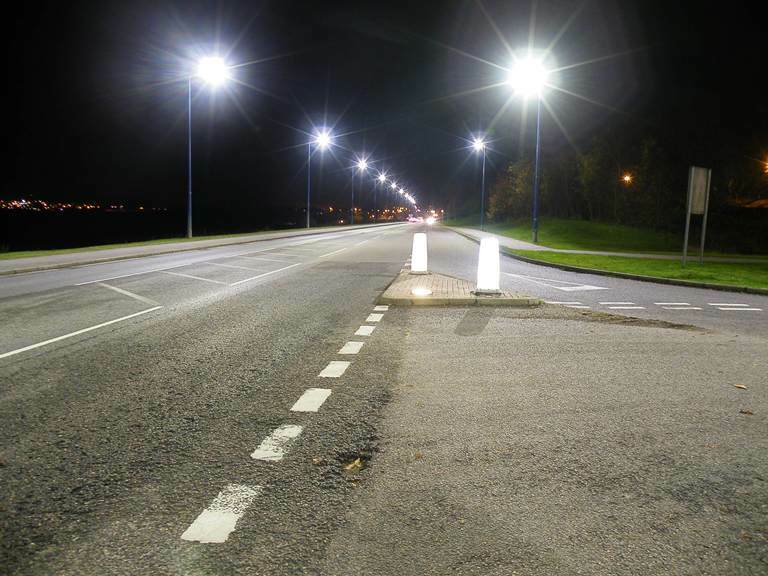 The Highland Council has agreed further investment in LED street lighting programme to cut carbon emissions, reduce energy consumption and generate savings of £35k per year. The Highland Council is renewing its call upon the UK Government to reinstate adequate coastal protection measures for the Highlands and Islands. Early yesterday morning (Tuesday 28 October 2014) there was a substantial landslip on the A890 Stromeferry bypass approximately 150m west of the avalanche shelter. People in Inverness are invited to an open evening event, to hear about Community Services, on Tuesday 4 November at the Town House, Inverness from 6pm – 8pm. The Highland Council’s Trading Standards Officers are backing local Citizens Advice Bureaux in their campaign to ensure that Highland consumers get a fair deal over private car parking. Between Friday 14 November and Monday 17 November Network Rail will be carrying out essential maintenance works to the level crossing at Ruthven Road in Kingussie which will require the temporary closure of part of the B970 Kingussie – Speybridge Road. The next in a series of events organised to help people find out more about Community Services in their areas, take place in Dingwall Council Chambers on 28 October and Tain Church Hall on 29 October. From Monday (20 October) until Friday 24th there will be a temporary weight restriction on the C1128 road at Boat of Garten to allow Scottish Water to undertake upgrading work at their waste treatment works. Road users on Scotland’s longest road, the A9, are being urged to refresh their speed limit knowledge in advance of the new average speed camera system going live on Tuesday 28 October. Following an inspection of the C1154 Dulsie Bridge crossing the River Findhorn, The Highland Council has imposed an emergency temporary 7.5 tonne weight restriction on the bridge. The Highland Council has been working closely with the Maritime and Coastguard Agency (MCA), and Calmac to re-arrange the timing of the annual refit of the MV Corran, which operates the ferry service across the Corran narrows in west Lochaber, providing a vital transport link to Ardgour, Morvern and the Ardnamurchan peninsula. Significant improvements have been carried out to the Raining Stairs in Inverness. A new pilot electric bike hire scheme has been launched in Inverness . Carbon CLEVER Cycles is a collaborative project between The Highland Council, Co-wheels car club and SSE which allows users to hire an e-bike from two convenient locations in Inverness, at Falcon Square and Council Headquarters at Glenurquhart Road. The Highland Council is inviting local contractors to come along to two briefing events to find out how they can help provide services over the winter months from December 2014 until December 2016. Highland Council’s Community Services continues to work with partners in SEPA, Met Office, Police Scotland, Scottish Fire and Rescue Service and local communities to address the impact of storm damage throughout the Highlands. The Highland Council is holding a public meeting on Thursday 31 July in Farr Community Hall to discuss proposals for road improvement works to the B851 route at Sockich’s Bends by Farr. Trials of a new method of repairing roads have got underway in Sutherland. Good Egg Seat Safety Campaign launches to save lives across the UK by highlighting the common faults which effect child safety in cars. Good Egg Safety has launched a new national initiative which is supported by the biggest public / private sector partnership ever - to raise awareness of common fitting errors and how to rectify them to improve in-car child safety. Part of the C1104 Beauly – Torgormack road will be temporarily closed to traffic from 8.30am on Friday (18 July) until 5pm on Monday 21 July. A temporary road closure will be in place along a section of Back Road in Golspie next week from 8.30am to 5pm Monday to Friday. Leading sustainable transport charity Sustrans Scotland has just installed a Danish style digital cycle counter on Millburn Road in Inverness thanks to grant funding from the Scottish Government, following a successful application from the Highlands and Islands Transport Partnership (HITRANS) to be involved in the pilot. Road users are advised that on Saturday 21 June part of the C1112 Glen Affric Road will be temporarily closed to vehicles from 11am to 4pm during the Highland Cross 2014 event. Funding for five Safer Routes to School projects in the Inverness area has been approved The Highland Council’s City of Inverness Area Committee. Progress on a public art project along the banks of the River Ness within the centre of Inerness City has been welcomed by Members of The Highland Council’s City of Inverness Area Committee. An emergency 3 tonne vehicle weight limit restriction has been introduced on the B970 Ruthven Bridge, which crosses the River Spey near Kingussie. Residents and businesses in three Highland towns are being encouraged to help secure the long term success of their town centres. Two Highland communities have signed up for a pilot scheme to use new technology to report common road defects, such as potholes and faulty street lights. Following a public meeting on 3rd April, The Highland Council has organised a public forum and drop-in-session for local people to discuss issues around the planned road improvements on the B862. The Inverness Common Good Fund Grants Sub-Committee has approved £16,000 of funding which will allow the Castle Wynd public toilets to open for the 2014 season. The Highland Council has welcomed the go ahead for its plans to build the Inverness West Link road. Highland Councillors are united in their support for proposed new legislation aimed at cutting accidents on our roads involving young drivers. The second phase of the main Kessock Bridge upgrade started on 10 February 2014. The works represent an investment of £13.2m from Transport Scotland. Road users will see improvements to the A86 in the vicinity of Laggan following completion of resurfacing works this week. The second phase of the main Kessock Bridge upgrade started on 10 February 2014. From tomorrow (Tuesday 1 April), The Highland Council is introducing changes to its Service structure. The public are being invited by The Highland Council to a meeting on Thursday 3 April at 7.45pm in Stratherrick Hall when an update on planned road closures in the South Loch Ness area will be given. The Leader of The Highland Council Councillor Drew Hendry has warmly welcomed an announcement by the Scottish Government. The new A9 Portgower Mill Bridge over the Allt Gharb Burn in Sutherland is now fully completed and opened to traffic. The Highland Council’s snow clearing / gritting route policies and area maps are online for 2013/14 at www.highland.gov.uk . Tribute has been paid to a Highland senior transport officer, who has died at the age of 57. Representatives of The Highland Council and its consultant, URS Infrastructure and Environment UK Ltd, are inviting comment on Part 2 of the options appraisal for the Stromeferry Bypass. The public is being urged to comment on The Highland Council’s first green transport strategy. 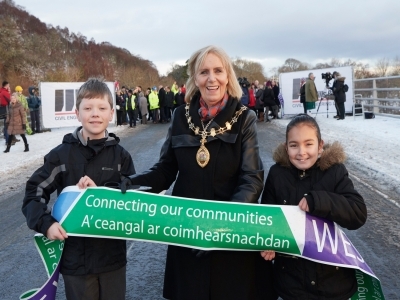 Glen residents and Council Leader officially open Muchrachd Bridge. 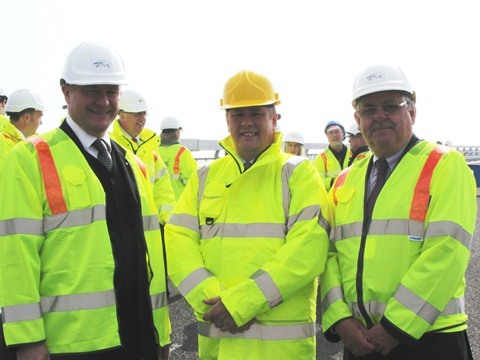 Issued by BEAR Scotland The second phase of the main Kessock Bridge upgrade started on 10 February 2014. Transport Minister Keith Brown was in Inverness today (28 February) to launch the £2.7 million East Inverness Bus Improvement Corridor Project. A 3-tonne weight restriction has been imposed on the C1112 road between Fasnakyle and Glen Affric as the result of a landslip. BEAR Scotland has announced it is to implement a regime of weekly inspections of drainage outfalls along the A9 at Golspie. Road safety improvements along the verges of the A87 within Breakish, Skye, will get underway next week. Motorists and bus passengers are reminded that from Wednesday until Sunday 16 March urgent maintenance works will be carried out to Baddengorm Railway Bridge, near Carrbridge by Network Rail which will require a temporary road closure on a short length of the A938 Blackmount - Dulnain Bridge Road below the bridge. The Highland Council has awarded a £250,000 contract to Fion Construction Limited, based in Fort William, for works at Moss Road Acharacle.